The manual for human energy-anatomy, its application to every area of your life, and practical steps for consciously, harmonious, and abundant living. 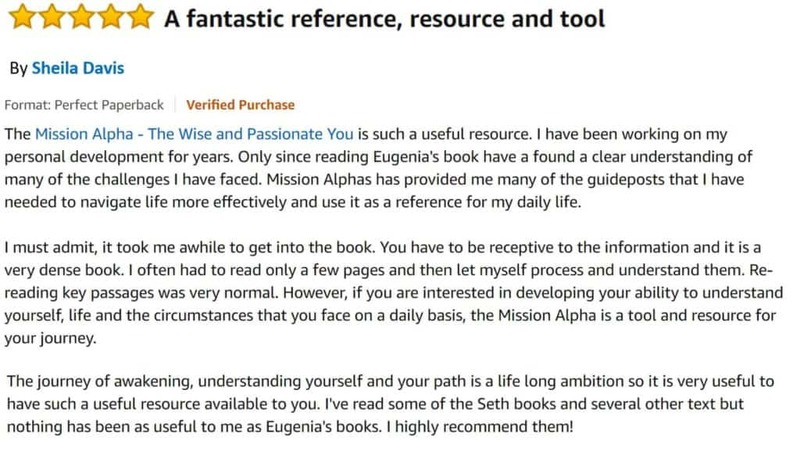 “MISSION ALPHA – The Wise and Passionate You” is a manual for your energy system. This is the manual you wish you had when you were born! Every event, external and internal, has a meaning – and I teach you how to find that meaning. Disease does not strike us randomly, it is a consequence of a prolonged energy imbalance. I show you how to recognize these faulty energy configurations and clean them up before the illness develops, and how, by changing your intention, heal the disease if it is already here. 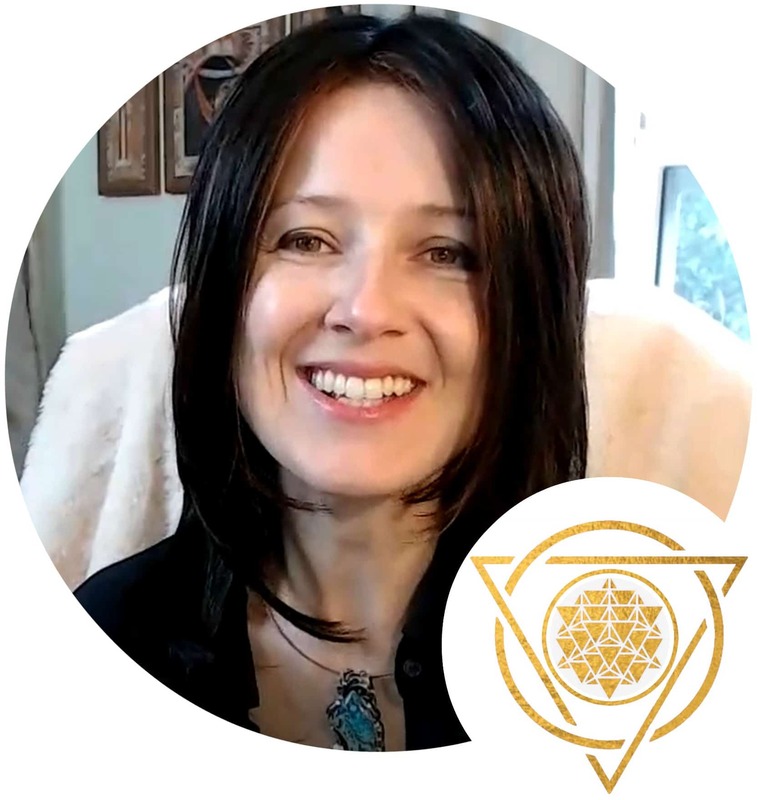 The courage, power, fulfillment and even happiness are energy states and I teach you how you can experience these despite negative external circumstances. Once you begin to feel more powerful and confident, the external environment will change to align with your new Self. GET THIS BOOK + recording of an AMAZING 1-HOUR INTERVIEW WITH EUGENIA! What is the significance of “building the Self”? Where does dis-ease originate and how to “cure” it by resolving its true cause? Does “genetic predisposition” for a particular dis-ease relate to karmic lessons as well? What is the energy pattern of “worry” and how to clear it? GET THIS BOOK + your Mini-MASTERCLASS interview recording! If there is a voice inside you that wants you to experience more love and fulfillment, wants this elusive feeling of power, of belonging and love – it is the voice of your Soul reminding you of who you are. But how do you become awake? No one is perfect and we are not in “perfect balance” all the time, but we can learn to recognize when we are not in alignment, and know our own unique ways of restoring it. There are a lot of inspirational literature out there talking about how we ”should be”, but not that many books actually explain HOW do you get there. We are programmed to look for some grand “purpose” for our lives, some amazing “magical power”, but in reality we are simply attempting to compensate for the feeling of “not good enough” inside. That feeling is painful and so we get bored with everyday things, feel insufficient, and lost – we hide from the pain of it all, attempting to entertain ourselves with information. But this does not heal the nagging feeling of not being all you can be. Our struggle with our bodies, emotions, relationships, careers and the meaning of life, is simply about us not remembering how to “read the manual” of our system, how to function in an awakened state which we are meant to live in. The “reading of the manual” implies some effort – we have to learn a whole new way of interfacing with our own consciousness that no one taught us about before. Yet this effort is well worth it. It helps us to consciously understand our internal workings, beginning with our energy systems and looking into the physical, psychological and spiritual components of our psyche so we can discern what is not working and why, and also how to fix it. Studying “how you are designed” leads to purposeful living and satisfaction. Each one of us already has the “equipment”, we just have to learn to “read the manual” and use it correctly. 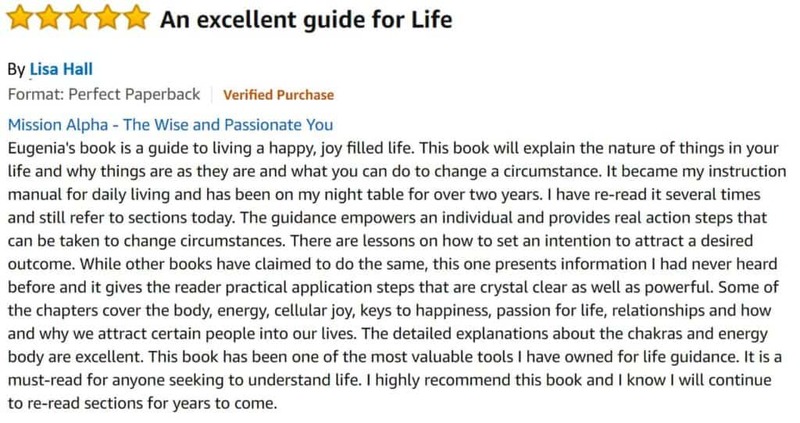 In this book I help you look at all these pieces of your Self, decoding the mystery of life that is you. And the first page of any personal manual is always the energy system. 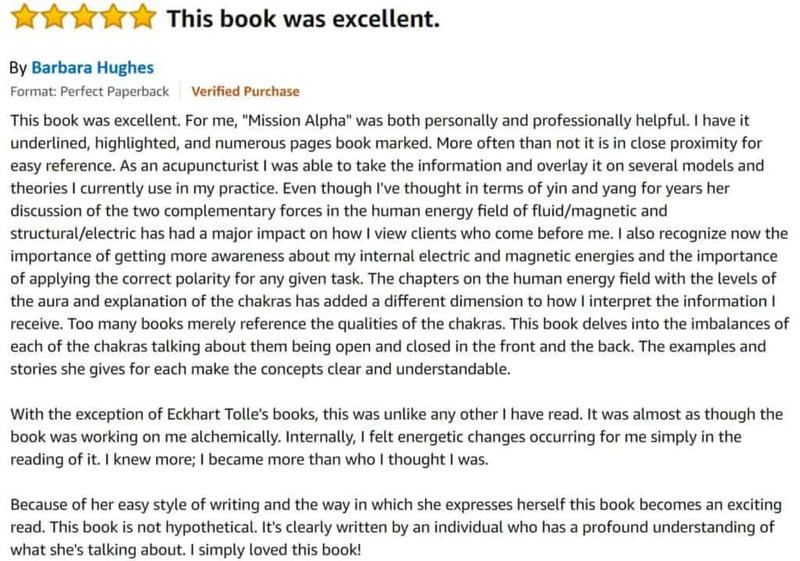 By understanding why it exists and how it works, you can see how illnesses are created and how you can heal yourself on all levels. From the beginning of my life I could see energy, and so to me nothing ever looked separate from the rest. “There is no Other”, my energy guides had told me, “there is only you”. So when we harm someone or something, we are harming ourselves. When we feel harmed by someone, it is our own energy returning to us, the authority we had projected onto that person in the first place. And we do so unconsciously because our energy system follows some automated program we inherited or invented as a child, which does not serve neither us or the world. We are meant to be more. And we can be more, if we only applied the basic effort required to understand our own manual, how to use our system correctly. We can create miracles, can attract to us all we need and want, can heal our bodies – but we must change our internal set up from the autopilot to a conscious mode. In my book you will read about where these “switches” are located and how to turn your Real Self on. The real magic of life is about the Reality bleeding through the illusion, it’s the process of awakening. 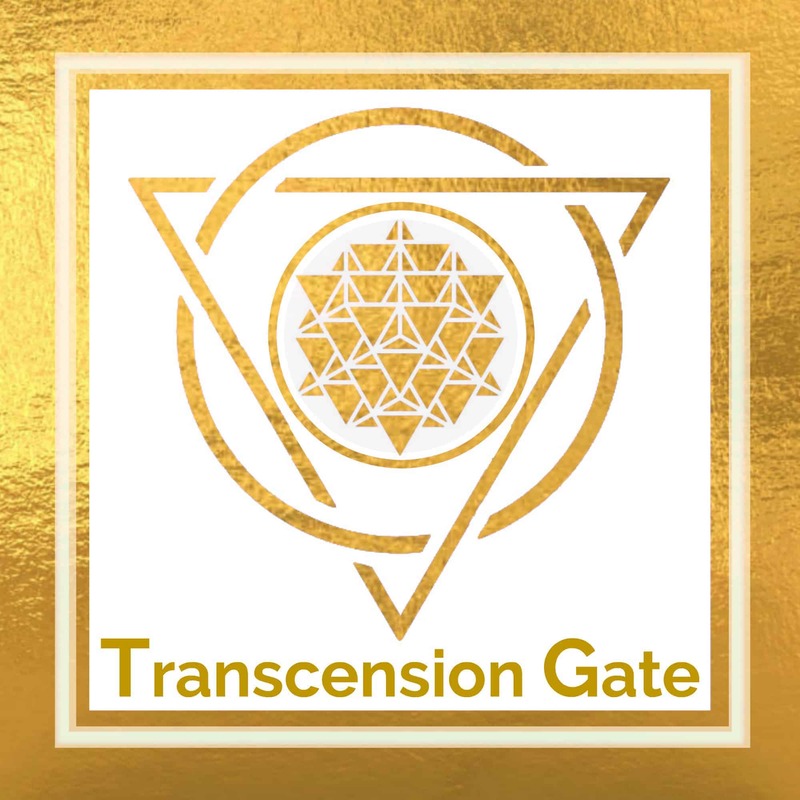 Alignment with the Source, the power of true identity, the balance of energy systems and the health of our physical bodies, all become enhanced by the expansion of conscious focus. 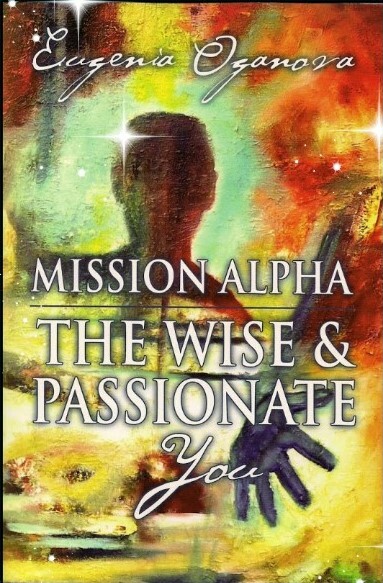 This is the Mission Alpha, the primary mission, of every spark of God – us.